DUNLOP TILE-ON-WOOD is a high strength, water resistant, ready mixed floor tile adhesive and grout. It is suitable for use on moisture stable timber based boards such as moisture resistant plywood and tongue and grooved timber. Not suitable for fully vitrified or porcelain tiles. 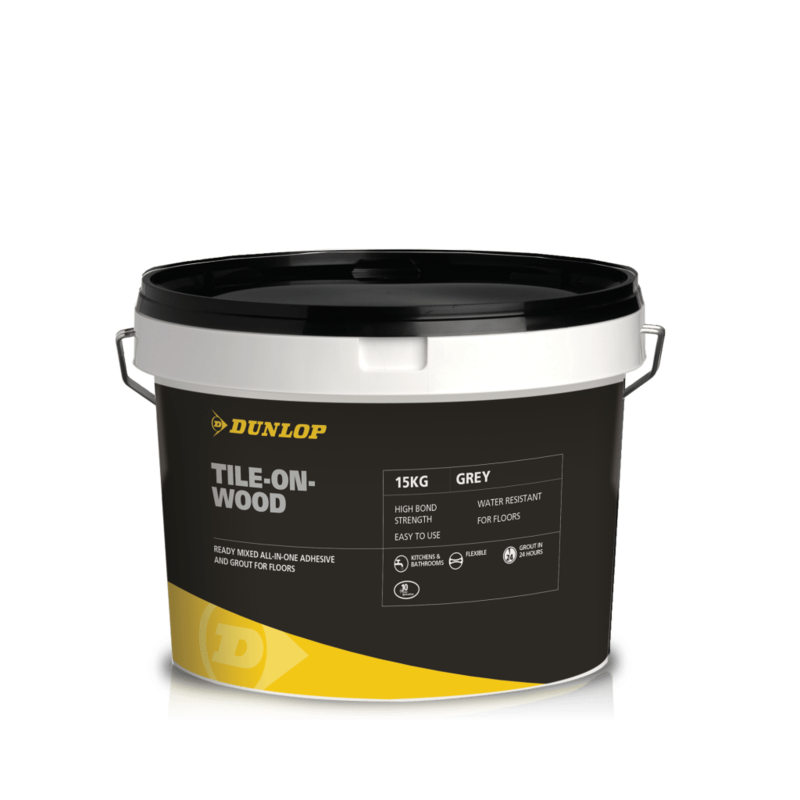 1kg of DUNLOP TILE-ON-WOOD fixes approximately 0.2m2 of tiles. Grout coverage varies according to tile size and joint width, as a guide DUNLOP TILE-ON-WOOD is sufficient to grout approximately 0.3kg per m2 when using 300mm x 300mm x 9mm tiles with 3mm joints, or at approximately 1.93kg per m2 when using 20mm x 20mm x 5mm tiles with 3mm joints.